Most people consider buying a car as a business transaction where and that there isn’t any room for emotions, but they couldn’t be more wrong. 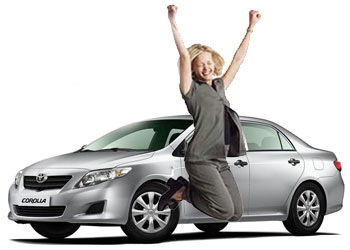 A successful car salesman or successful car saleswoman knows that emotions can play a very large part in the purchase of an automobile where the customer is concerned. They take every opportunity they can to get the customer to use their emotions during the car buying process to not only sell them a car, but also to make more car sales commission. There is no question that more and more people today with the aid of the Internet make buying a car an emotionless and all business transaction, which can hurt our sales commissions, but there are still plenty of customers that let their feelings play a major role in the decision process. It is our job to help them to use and involve their emotions during the time we spend with them. It’s no secret that customers will do all they can to hide their emotions in order to keep the “Fast Talking Car Salesman” at bay, but you as a true car sales professional can break through those barriers, earn their respect and even get them to bare their soul. It’s what professional car salespeople do to make a good living. If you are not doing everything in your power to engage the emotions of your customer you are missing the boat. Emotions are what allows customers to be switched and with more than 80% of car buyers ending up buying something different that what they intended to buy when they first came to the dealership to buy a car it is quite obvious that buying a car is so much more than a straight business transaction. We have all sold cars to people that don’t use their emotions to buy and they won’t be switched, they won’t accept something other than what they came for (unless they are getting something for nothing) and much more often than not your commission is at best a “Mini”. These types of buyers will never go away, but fortunately they usually don’t total more than 10% of our customers. The good news is that even the Fresh Ups and Internet Customers that walk through the door with their stacks of quotes and emails can still pay you some very nice car sales commissions. I see it every week, people that shopped several dealers for the best price come in to buy a specific car and get switched by a salesperson that knows how to get their customers juices flowing. They get switched, they buy something different than what they came to buy, they change trim levels, models and factory installed accessories and now their quotes don’t’ line up with the car that they really want to buy. They are working in the dark, but you will help them because you are a professional. You will make them feel good about buying something they really want rather than settling for something they though they wanted. You will do this by engaging their emotional side. Remember the old saying “ The feel of the wheel seals the deal” or “Enthusiasm sell cars”? They are old sayings that are still around today because they’re true. Feel of the wheel is an emotion, new car smell can be an emotion trigger, and the Test Drive is one of the best times to engage their emotions. Who wants to drive home in their old car when they could be driving home a brand new car that they really want? How will they feel when you use your product knowledge to demonstrate and tell them, about how much safer there family will be in this new vehicle? How will they feel after learning that the new car gets 35% better gas mileage? How will they feel knowing that they won’t have to spend any money for tires, batteries and repairs for many years to come? How will they feel knowing that they are working with a true car sales professional that will be there for them before, during and after the sale? Discover their Hot Buttons, listen what they say and get them to see, feel, smell, hear, imagine, visualize and sense how great it will be to get into a car that they really want everyday rather than one they were going to settle on. Engage the car buyer’s emotions and you will sell more cars and make bigger car sales commissions. It’s not uncommon for the customer that comes in with a hand full of quotes and emails to leave with a new car and pay a $1000, $2000 or even $3000 front end gross when you help them use their emotions to purchase a vehicle It’s happening every single day at dealerships across the country. Are you selling as many as you want and earning six-figures? You better click and get the Book NOW! Tags: car buyer emotionscar salesman and emotionsemotional car buyersemotionsSelling Cars!